It’s five times the mysteries—and five time the fun—with this paperback boxed set of The Hardy Boys Secret Files adventures! When there’s trouble brewing in Bayport, brothers Frank and Joe Hardy are the go-to guys for solving cases. 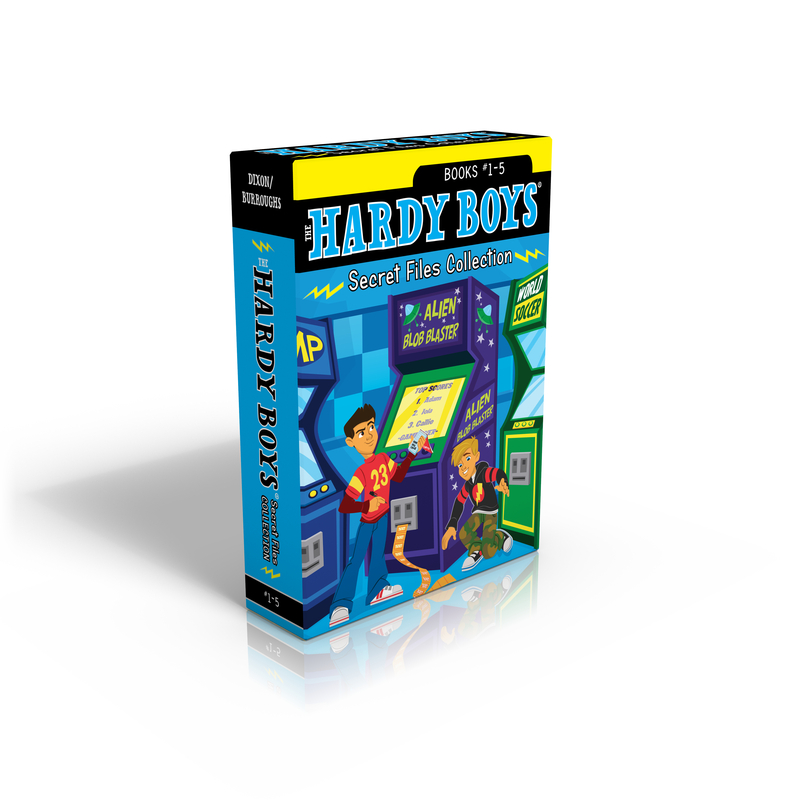 Help crack the first five cases in the Hardy Boys chapter book series! Scott Burroughs started his career at Disney and has illustrated everything from children’s books to advertisements and editorials. He is also the published author of several children’s books. He lives in Denver, Colorado, with his wife and sons.